One day, I was in the final minutes of up my 35 minute trek on the Life Fitness elliptical trainer, and I noticed a young man walking in my direction. You know when you can sense when someone is coming right at you? That’s how this was. In the gym, I’m all about business. If I’m lucky, I get a whole hour to drive to the gym, change, work out, clean up, change, and drive back to work. There’s really not enough time in there for me to start associating with people. So when I see someone who I believe might feel the need to converse with me, I get uneasy. I’m also very sensitive to people sneaking around me. I really don’t like it when people linger around outside of my peripheral vision. Well, the dude was standing right behind me and the machine. As I finished the exercise, I stepped off the elliptical trainer and walked over to the area with the sanitizing wipes and solutions, approximately 10 feet away. By the time I got back to the elliptical machine, the guy had grabbed the poles and was just about to step on. I had sanitizing wipes in my hand, so I physically motioned that I needed to clean the machine (I’m a good gym citizen!). Also, my bottle of water was sitting in the cup attached to the machine, and the towel that was soiled with my sweat was draped over the machine. Mind you, on either side, three other ellipticals were available, a total of seven. He stepped away and let me do my thing. With my music blasting and my earbuds in, I wiped down the machine, snagged my towel and water bottle, and I started walking away. That’s when he decided to talk to me. So, I bit, and I looked up, there was a ceiling fan way up in the sky; the ceiling is actually very high in this area of the gym. The fan also moves at an infinitesimally small rate. There are also bars across the ceiling between the machine and the fan. All I could give the guy at that point was “have a good workout.” It would have been the perfect opportunity to pat him on the shoulder when I said that, but I generally don’t like touching people. I’ve taken a lot of time to think about the exchange. We all have our preferences, and it’s fine that he likes that particular elliptical trainer for whatever reason. He probably felt awkward after almost climbing onto a machine that had someone’s belongings laying on it, so he compensated by trying to start a conversation; the only common ground we had was that machine. Then there’s this fan. Is it possible that I’m underestimating the ability of a fan that far away moving that slowly to provide a significant breeze? Furthermore, since the fan was actually positioned directly above the machine, as you move farther away from the fan, isn’t the air being directed away from the fan going to diverge from the center? I tested this hypothesis with a conventional table fan. I put my fist in the very center of the fan and moved away, keeping my fist aligned with the center of the fan. I felt nothing. 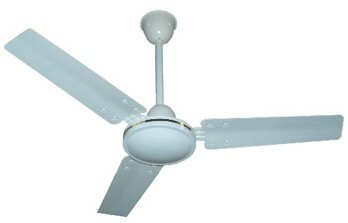 Lets say this falls apart for ceiling fans, wouldn’t the bars in the way block the direct flow of breeze? Also, what else was I supposed to say to that? Yeah you’re right about the fan. I mean you definitely get SOME airflow even if you’re right underneath it. Certainly more than if you’re at a machine 20-50 feet away. You probably could’ve said “you’d actually get more of a breeze if you used either of the machines one over. Trust me, I’m a physicist”. It IS weird though that he got on it before you could even take your stuff off it. I always leave my towel and water bottle on the machine when I go to grab the paper towels and spray just to signel to someone “hey this machine isn’t clean yet”. Was he a meathead or just a kind of eccentric guy? For being a Gold’s Gym, there are an unusually low amount of meat heads that workout when I do. If I had to classify the guy, I’d say he was a normal looking, wimpy guy.